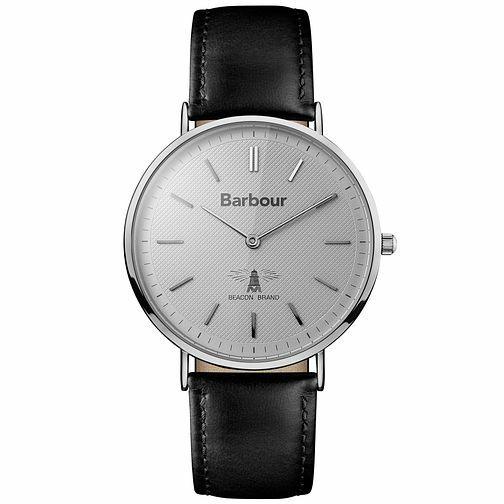 A sophisticated men's black leather strap watch from Barbour. Featuring a smart grey dial with silver tone hands and indices, this handsome men's watch is styled with a stainless steel case and fitted with Swiss quartz movement. Barbour Men's Stainless Steel Strap Watch is rated 4.0 out of 5 by 1. Rated 4 out of 5 by Anonymous from Stylish and classy My husband loves this watch...most watches look large and clumsy but this one fits the bill perfectly and looks very stylish.